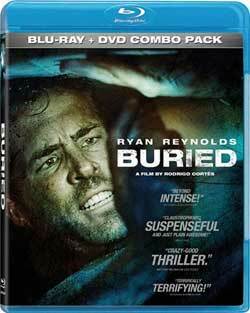 An abstract, surreal horror film centering around six dead women waking up in the crawl space below their killer’s house. 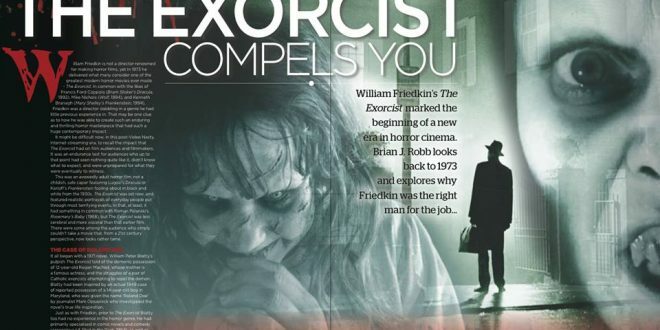 I hear a lot of people complaining that there is no good horror being made anymore, that all the good movies were done in the 1970’s and 80’s and now everything is either a remake of one of the classics or a retreading/bastardization of what we’ve already seen. I wish those people would actually watch a few recent horror movies before opening their mouths on the subject again. 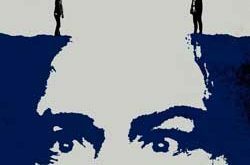 In just the last couple years alone, I have seen some of the most unique, innovative, and most importantly, well done horror films that I can remember. 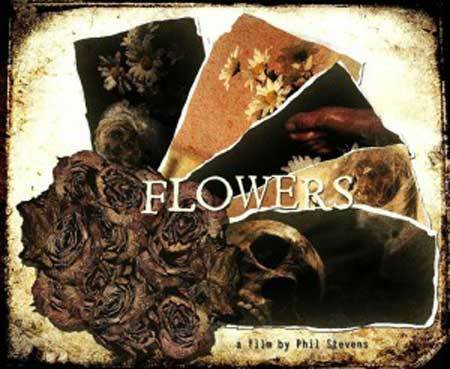 One of those films that really stands out in its originality is writer and director Phil Stevens’ Flowers. 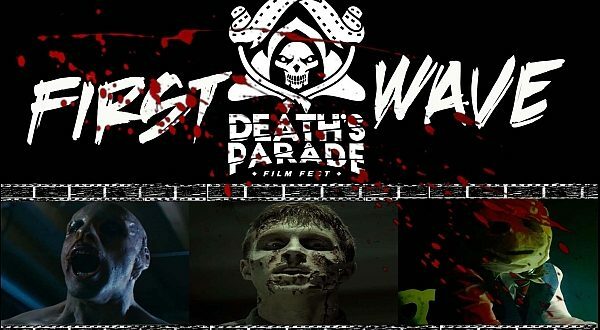 And it should come as no surprise that it is being released by none other than Unearthed Films, a company that has really been hitting it out of the park this past year or so (see also Visceral, Creeper, and American Guinea Pig: Bouquet of Guts and Gore for starters). It’s going to be tough to try and explain what Flowers is about. To put it simply, it’s about the various women that a man (The Exile, played by Bryant W. Lohr, Sr) has killed. But this is not a simple movie by any means. 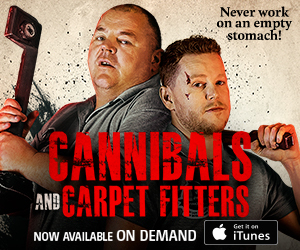 This is as much a work of art as it is a gory, bloody horror movie. This is a movie full of symbolism and surreal imagery and so many questions. Aside from a handful of screams and a couple muffled voices, there is not one line of dialogue. This might sound crazy at first, but in the end it makes the film stand out that much more. 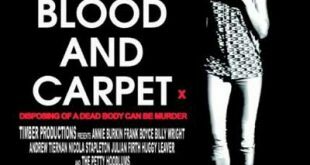 From the very beginning, we follow a woman who seems to be stuck underneath the floorboards of an old house. She is trying to find a way out, but also being careful not to be heard by the man who has just returned home with another potential victim. Eventually she finds a small passage into the house. Next thing we know, another woman has appeared in the same place, wearing the same clothing as the first woman, and she continues the journey into and around the house, eventually becoming another woman, then another. We also notice that each woman has similar stitches around her clavicle and down her chest. These women do not have names, but are listed as Flowers # 1 – 6 in the credits. 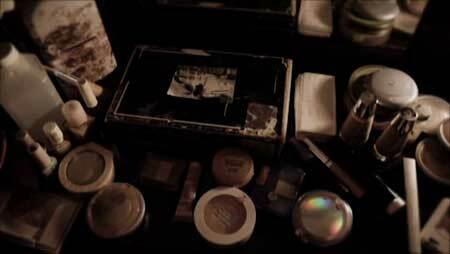 As each woman makes her own way through parts of the house, they see things that are in some way directly related to them as an individual, things that bring back memories of a previous life. 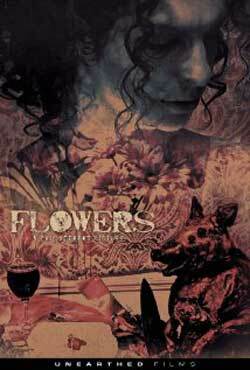 The imagery employed in Flowers in remarkable, both beautiful and horrifying all at once. It’s hard to put it into words, the way Stevens managed to make a set piece of a rusty, dirty, bloody bathroom with a rotting corpse resting in the filthy bathtub and “defect” written in filth along the wall, look both serene and chaotic at the same time. But that’s what you get throughout the entire film, a constant stream of the most artistic horror we’ve seen in some time. It reminds me at times a little of the work of Marian Dora (Cannibal and The Angel’s Melancholia), but without the pretentious vibe. I’m not going to pretend to have all the answers to the questions that Flowers asks, nor do I really think there are answers to all of the questions. The story is not straight-forward, which might turn off the small section of the audience that wants everything spelled out for them, but if you just pay attention you can figure out quite a bit. This is such a visual experience, from the very first moments of the film all the way through the end credits – it is not surprising that in addition to his film work, Stevens is also an artist himself, a painter. And apparently this is his first movie, which makes it all that much more impressive. 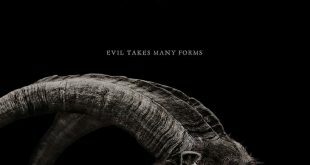 Each piece of the film feels very much like a nightmare set to celluloid, and it’s the type of movie that’ll stick in your head for days and days after you see it. I see that Stevens is currently (as of the writing of this review) in post-production with his next film, Lung II, and I personally cannot wait for a chance to see more of his work. He has an eye for directing that I think will continue to produce creative and original horror for some time to come. 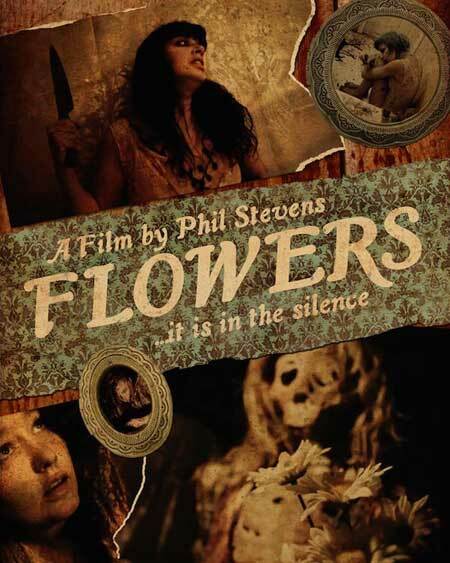 I consider Flowers one of the “must see” movies of 2015, especially for every “horror fan” that thinks there is no good horror being made today – this will prove you dead wrong. I’m sure this reviewer is spot on and knows heaps more than I ever shall about the genre. Metaphorical, allegorical, surreal etc etc etc. all valid but if it doesn’t hold my interest then bye bye. I’m sure this reviewer is spot on and knows heaps more than I ever shall about the genre. Metaphorical, allegorical, surreal etc etc etc. all valid but if it doesn’t hold my interest then bye bye. I don’t watch horror so as to exercise my talents at understanding the hidden message so if the movie doesn’t engage, then neither do I.